Enjoying karting through his teenage years, including winning the South of England Open Championship aged 14, Richard progressed into car racing at the age of 19. Richard has enjoyed a long career of saloon car racing, competing initially in a the RML / Ecurie Ecosse Vauxhall Cavalier built in 1993 for the Spa 24 Hours, before moving to David Leslie’s 1997 BTCC Nissan Primera, again built by RML. Richard raced this car from 2005 until 2013, securing one Class B and two Super Touring Trophy titles in the BRSCC Euro Saloon & Sports Car Championship. In 2015 he finally fulfilled a long-term dream of racing in the BTCC, after falling in love with touring cars as a youngster when attending races at Thruxton with his late father. Richard competed in three races with Infiniti Support Our Paras Racing, raising funds and awareness for the official charity of The Parachute Regiment. Returning to the TOCA paddock, Richard will undertake a new challenge in 2018 as he turns his first laps in the second-generation Porsche 991-type GT3 Cup car. With experience belying his 26 years of age, Tio Ellinas has race wins in GP3 and Formula Renault 3.5 and took part in Formula 1 testing. He began racing at the age of seven, quickly having success in his home country of Cyprus. In six years of karting he took 101 wins from the 131 races he participated in, a stunning success rate of 77%. Winning the Grand Prix Shootout competition in 2009, he carried the momentum into MSA Formula Ford, becoming 2010 Rookie of the Year, before finishing third in Formula Renault the following season. Continuing his rise up the ladder he moved to GP3, taking a race win in his first season and following up with two more in 2013, en route to fourth in the championship. His performance with Marussia in GP3 earned him two tests in the team’s Formula 1 car, one a straight-line run at an airfield, and one at Silverstone that July, setting the second fastest time of the drivers in the car. After scoring points in a part-season in GP2 he moved to Formula Renault 3.5 with Strakka Racing, taking two wins in 2015. 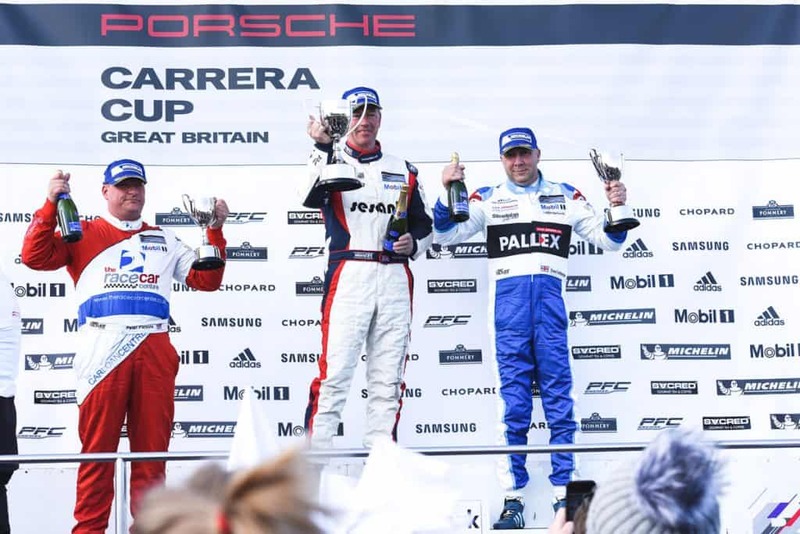 After a year off he returned to racing in the Porsche Carrera Cup GB, ending the season with an impressive four-straight podium finishes and claiming another Rookie title. David Fairbrother has been car racing since 2012 after many years racing superbikes. He finished eighth in the VW cup in both 2013 and 2014, and placed fourth in the VAG trophy in 2014 too. 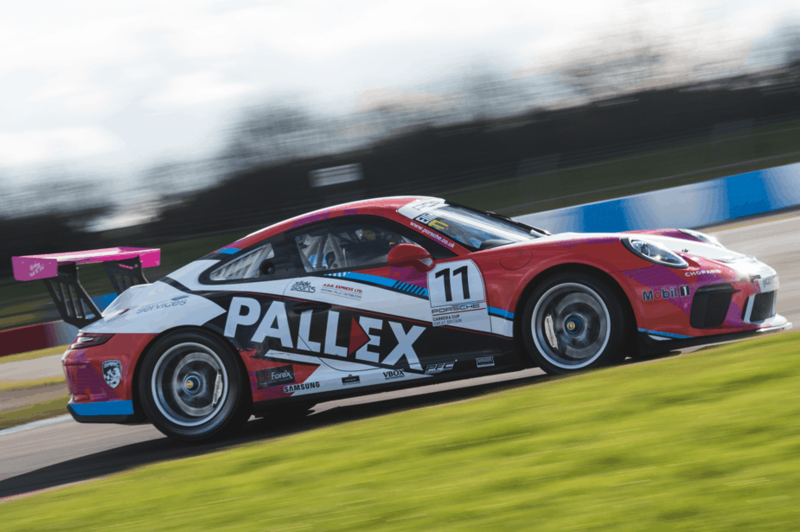 David undertook his Rookie campaign in the 2017 Porsche Carrera Cup GB with Slidesports, backed by Pall-Ex and Fuel Card Services, taking one victory in Pro-Am2 en route to fourth in the championship standings. Tio began racing at the age of seven in his home country of Cyprus. From winning the Grand Prix Shootout competition in 2009 he hasn’t stopped. Tio has continued to rise up the ladder and after a year off he returned to racing in the Porsche Carrera Cup GB taking. Ending the season with an impressive four-straight podium finishes and claiming another Rookie title. Find out more about Tio here. David made his racing debut later in life, as the successful businessman began competition in the UK’s VW Racing Cup. 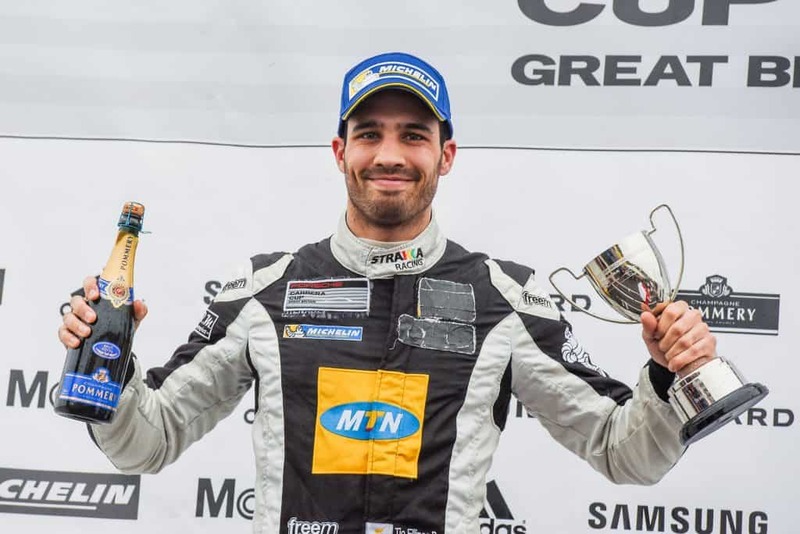 After three years of competition he made the step up to sportscars, racing in the GT Cup Championship in Group GTB in a Porsche 997 GT3 Cup car to great success. Alongside co-driver James Greenway, the pair recorded four wins and nine podium finishes to secure the title with Pall-Ex Slidesports Racing. Enjoying Porsche competition, David spent 2016 in a Cayman GT4 racing in selected rounds of the GT4 European Series and finishing fifth in the Gulf 12 Hours. 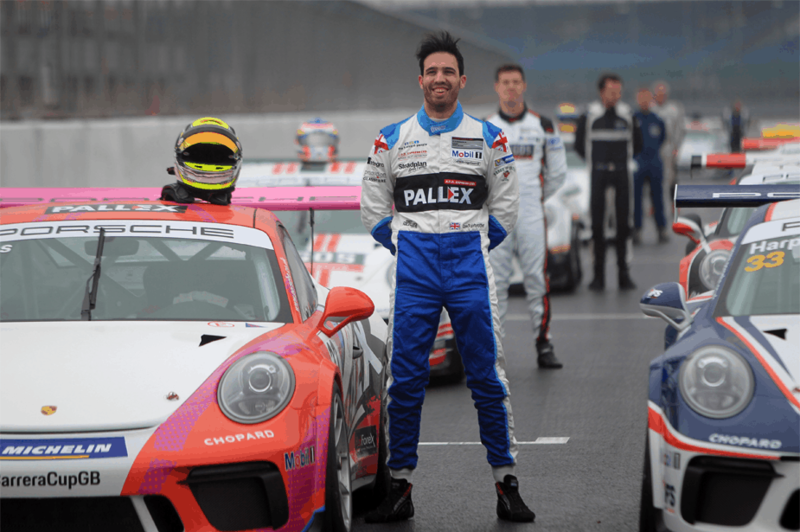 David undertook his Rookie campaign in the 2017 Porsche Carrera Cup GB with Slidesports, backed by Pall-Ex and Fuel Card Services, taking one victory in Pro-Am2 en route to fourth in the championship standings. 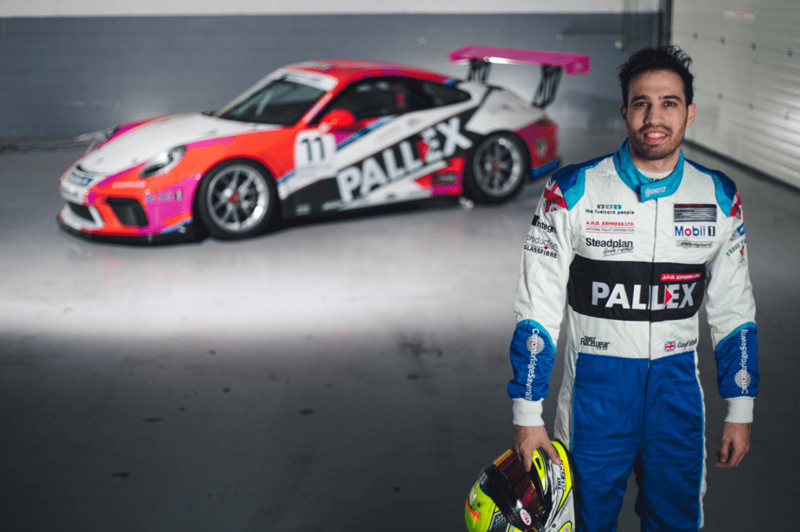 He then took his Pall-Ex / Fuel Card Services Porsche to the USA, securing a podium in the 24 Hour race at Circuit of the Americas in November, rounding off a successful year of competition.